HIDALGO — Indoor soccer is coming back to Hidalgo. Three years after the departure of Hidalgo La Fiera, State Farm Arena will be home to RGV Barracudas FC beginning this fall. A reformation of the Brownsville Barracudas franchise that was inactive last season, the RGV Barracudas will play in the Major Arena Soccer League (MASL). The team’s fresh identity and new logo were officially unveiled Monday during a news conference at State Farm Arena. Jorge Quiroz was also announced as the team’s head coach. 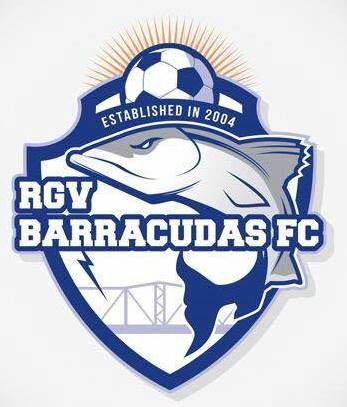 The Ruvalcabas have been working in soccer under the Barracudas name since 2003, when the family built a soccer complex and formed an amateur league in Brownsville. The organization formed an MASL team in 2014, playing the 2014-15 and 2015-16 seasons before sitting out last year, unable meet the increasing minimum requirements of MASL facilities. The younger Ruvalcaba said the year off was filled with lengthy negotiations in search of a new home. The MASL will enter the 2017-18 season with 20 teams across the United States, Mexico and Canada. The recommended field size is just 200 feet long by 85 feet wide with six players per side playing four 15-minute quarters. The setup generally creates a pace of play much different from traditional soccer. Schaub said the league has drawn more than 8,000 fans to each of its past two championship games, with most franchises averaging between 3,000 and 9,000 per night in attendance. He expects Hidalgo to immediately hit similar numbers. Hidalgo has been home to a team in this league before, as the RGV Flash and later Hidalgo La Fiera opened play in 2012 and lasted until about the midpoint of the 2014 season. The younger Ruvalcaba said he believes the Barracudas’ track record makes the organization different from those that have come and gone before. One of the first steps was announcing Quiroz as head coach. Originally from Mexico City, Quiroz previously coached the RGV Devils of the Professional Arena Soccer League Premier. He’s also played indoor soccer for the Turlock Express, RGV Flash and Hidalgo La Fiera. The younger Ruvalcaba said the Barracudas are planning to host tryouts and begin building a roster in the coming months.